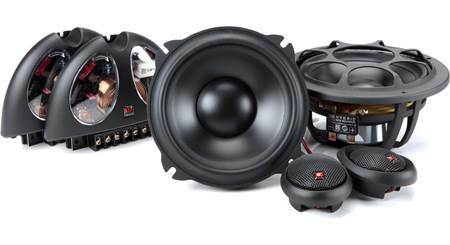 This crossover network ensures a smooth transition between woofer, midrange, and tweeter. 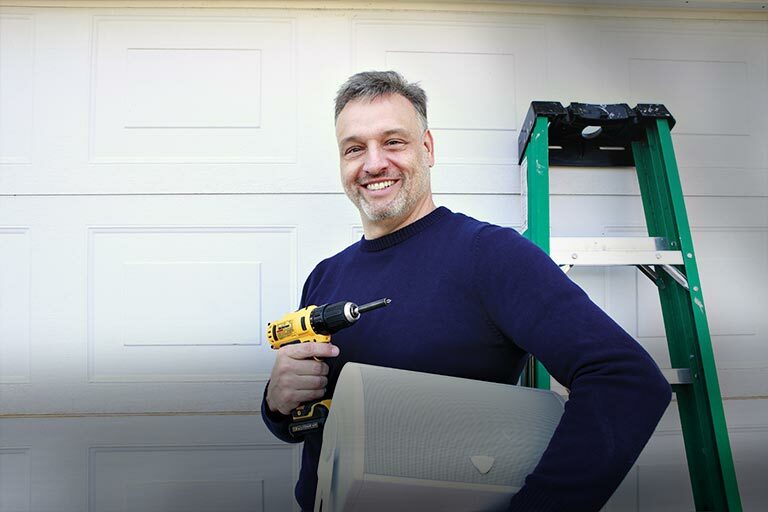 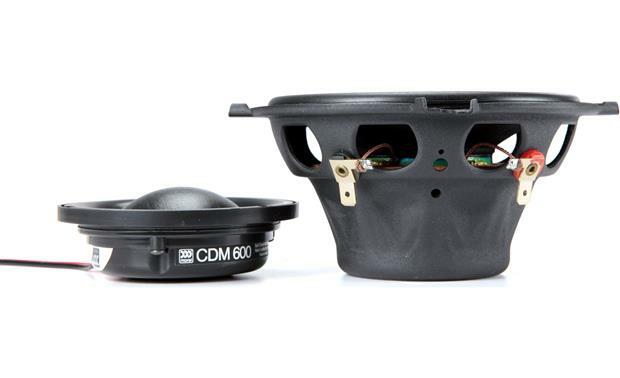 The Virtus 503 5-1/4" 3-way component speaker system adds a CDM600 midrange driver for a fuller, more palpable response and enhanced sonic detail. 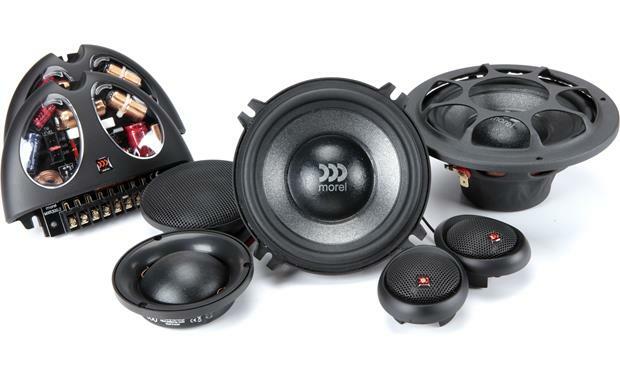 The paper composite woofer handles the lows, and Morel's External Voice Coil (EVC™) technology maximizes voice coil size in this woofer for better heat dispersion and efficient performance. 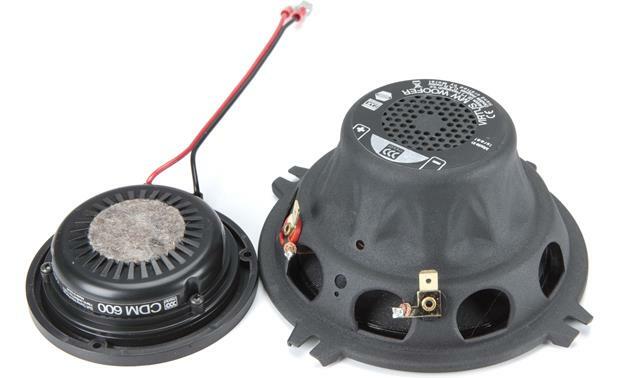 Morel's MT120 soft dome silk tweeter contributes warm highs to the distinct Virtus sound, and the one-of-a-kind Acuflex™ compound that coats the tweeter helps damping to bring out the fine detail in your music. 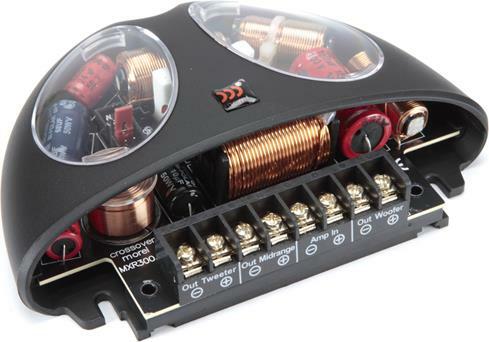 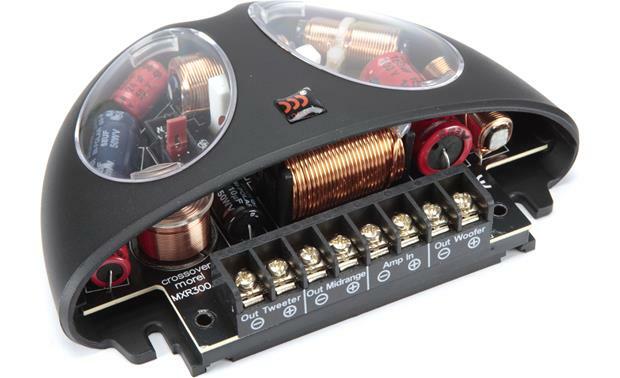 Morel includes external MXR crossovers to deliver an ideal blend of the highs and lows for an incredible stereo image. 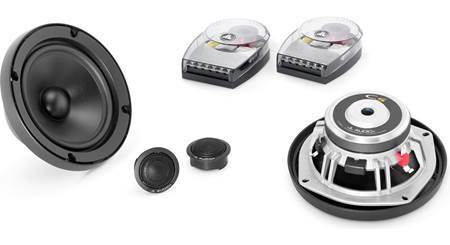 Three levels of tweeter control let you dial in the sound to your car's environment. 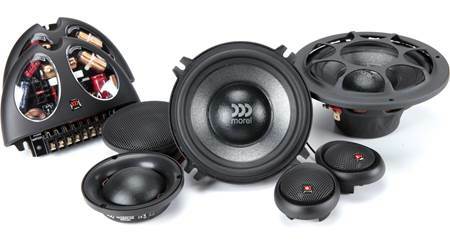 This system will handle up to 120 watts RMS, so you'll want to use an amplifier to get maximum performance at high volume. 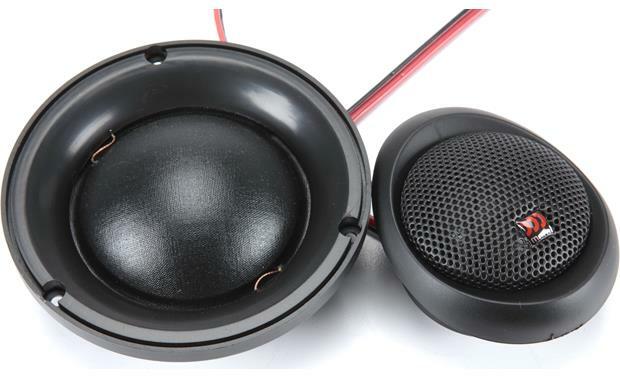 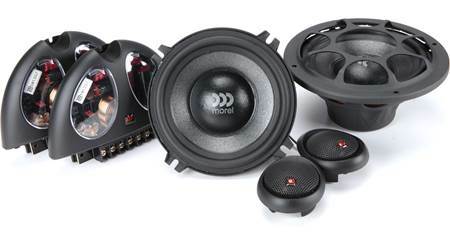 Searches related to the Morel Virtus 503 Virtus Series 5-1/4" 3-way component speaker system.